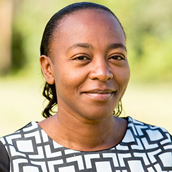 Pauline Wambeti is currently the Country Director for Nuru Kenya, an NGO focused on ending extreme poverty in remote, rural areas of Kenya. Before joining Nuru, Pauline worked for the United Nations Environment at the African regional office in Nairobi. She was also a Programme Officer for the National Organization for Peer Educators; a Business Development Officer for K-Rep Bank Ltd; and a Program Facilitator for Doctors of the World. Pauline has studied Social Work and Community Development in addition to post graduate studies in Development Studies and Project Management. She is an Acumen East Africa Fellow.